This is our very first episode! What is Your Life Rocks? Your Life Rocks is a resource to help working Christian moms bring balance and clarity to the chaos of their lives. 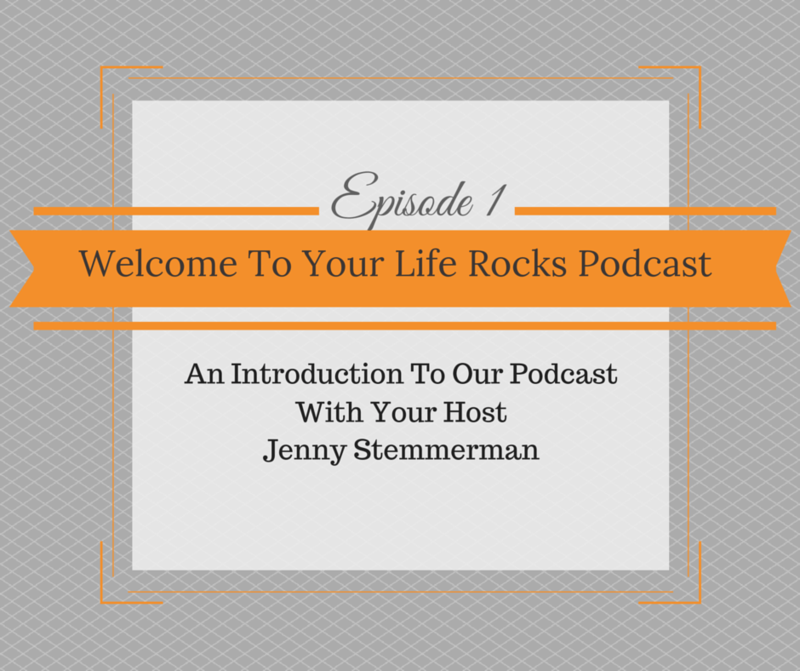 My name is Jenny Stemmerman and I am the creator of Your Life Rocks and the host of this podcast. To learn more about me, check out my story. Is Life Balance a real thing? A lot of people have said that life balance is not possible. I say it depend on how you define it. For me, it means living fully in all areas that God has called you to be in. Life can pull you out of balance, but I truly believe that through intentional living you can keep things in order. This is what Your Life Rocks is all about! What you can expect from this podcast? Every week I will be bringing you a new episode with helpful tips and resources to help you move forward in your career, faith, family, or something in your personal life. All the advice you will be from a Christian perspective and have real world application. Some episodes will even link to a checklist or have action items attached. On occasion, I will have a super working mom join me on the podcast so that we can learn from her as well. It’s all about sharing with each other and lifting other woman up. Speaking of action, each episode will have a scripture in the spotlight. This is not just about reading scripture, it’s about applying the word of God to your life! This podcast is all about action! review and rating. This will help other woman (those that aren’t your friends yet) find the podcast. Every month I will draw a winner from the reviews for a free 6 Weeks To A Life That Rocks course! That is a $47 value! Thank you for supporting all that we do at Your Life Rocks!